Herbert Leupin (1916-1999) designed some of the most amazing Swiss posters throughout the 1950s. An early Swiss modernist, Herbert Leupin offers a tad of film noir drama combined with the bluntness of early 1950s Swiss object poster art. 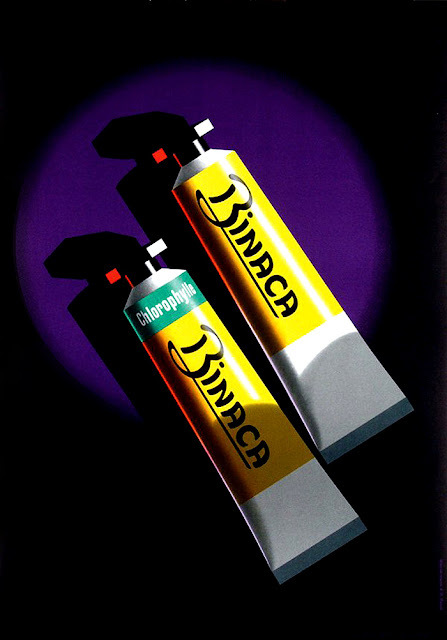 In his work for Binaca for example, Herbert Leupin holds a spotlight on two examples of Binaca whitening toothpaste like suspects in a murder mystery. Herbert Leupin was born in Beinwil am See in 1918. He resided in Basel in his early years but eventually settled in the Italian Part of Switzerland where he died in 1999. Between 1932 and 1935, he was trained at the Kunstgewerbeschule in Basel where he was taught by teachers such as Paul Kammüller, Hermann Eidenbenz and Donald Brun. After graduating, he did a internship at the advertising atelier Eidenbenz in Basel. From 1935 to 1936, he attended the Ecole Paul Colin in Paris. Despite that time in France, he maintained his Swiss traditional approach that valued professionalism and discipline. 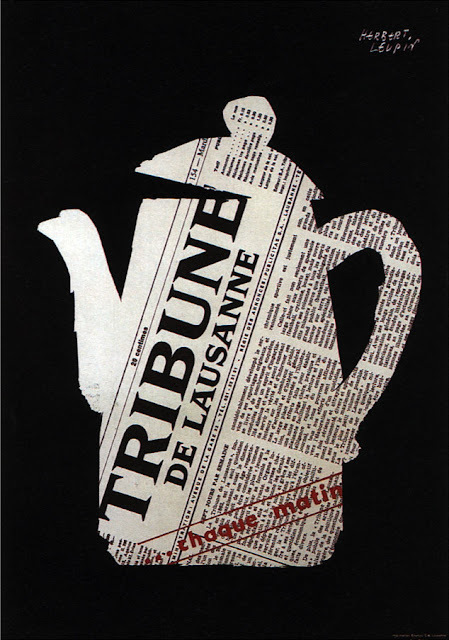 Herbert Leupin started as independant freelance graphic designer in 1938 and soon became one of the most important poster artists in Switzerland. 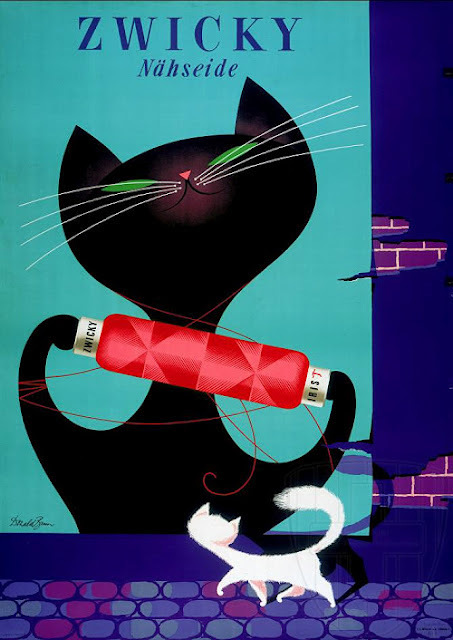 In the late ´30s, his style was illustrative but soon, he became famous for his innovative humorous figures and his fresh and colorful style. 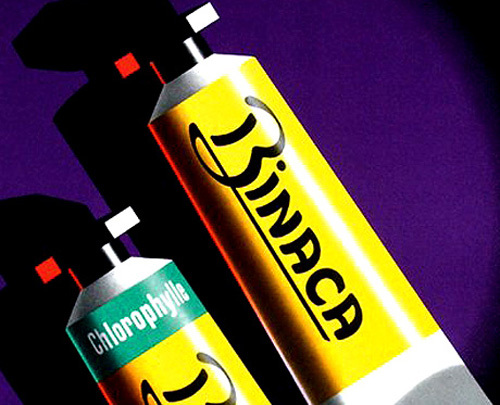 His best posters tell small stories and translate he company‘s name into a picture. 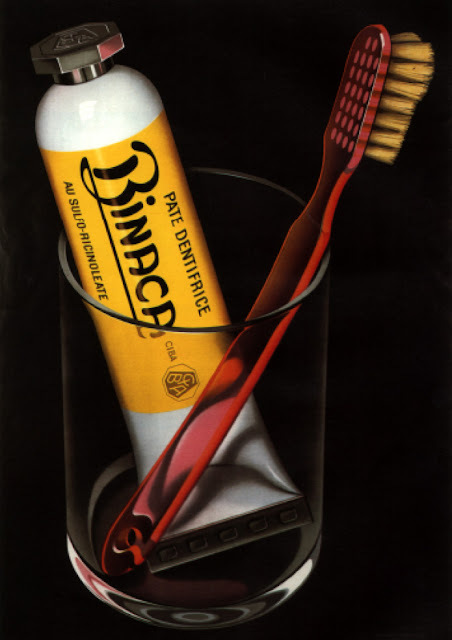 His innovative Object Posters for companies like Eptinger, Bata, Knie, Coca Cola and various publishers became world-famous and today some of them are rare collective items. 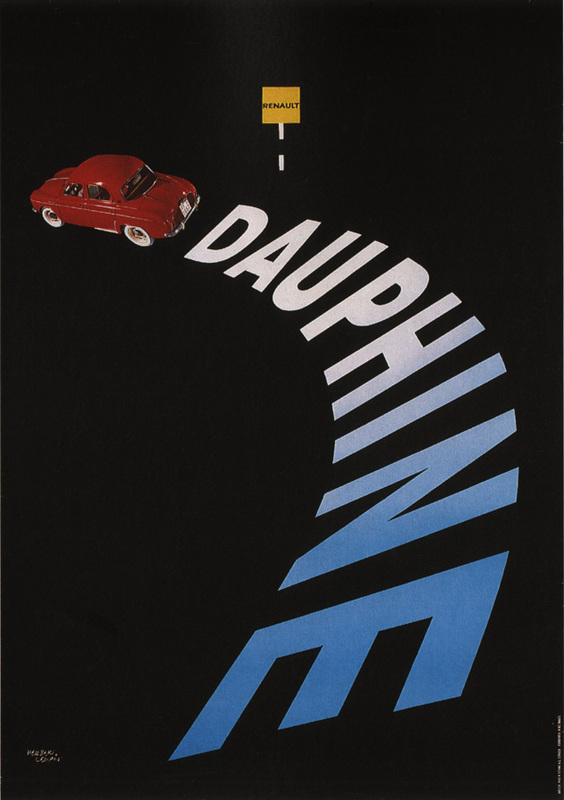 In many ways, Herbert Leupin was the leading figure in poster design in the fifties. Due to his wide range of styles and his creative humor, even his contemporaries saw him as one of the best graphic artist of the time. For some of the several hundred posters he created, he received important awards in Germany, Switzerland and the US such as the Medal Award of Art Directors Club in Chicago in 1960. Leupin illustrated countless children's books. From 1970 onwards, he mostly lived in the Ticino and worked exclusively as a painter.